Spidey doesn’t look like he’s having a good day, does he? But then neither does Superman . 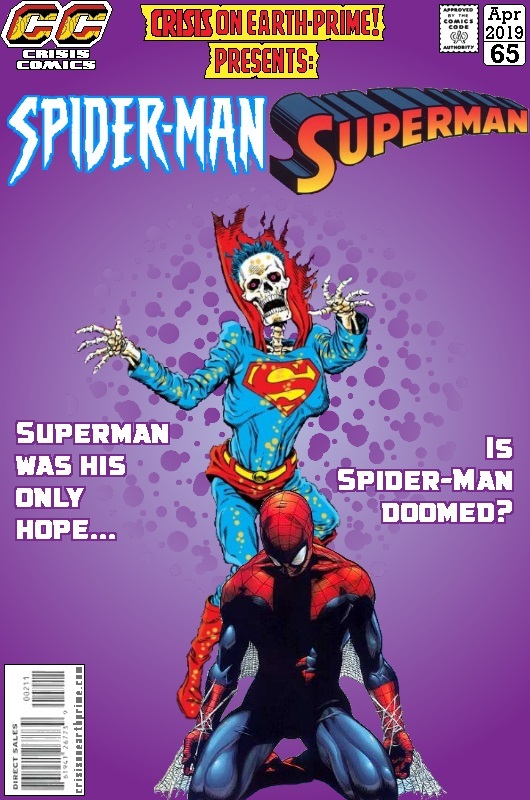 . .
Posted on Wednesday, April 3, 2019 Saturday, March 23, 2019 by GaryPosted in Mash-UpTagged Spider-Man, Superman. Aww, the Panic In The Sky Superman cover. Definitely one of my favorites from that era. Yeah – said it before, I’ll say it again – love me some Dan Jurgens art! Same, especially his 80’s and 90’s work.